Cali Khaliif Galaydh Oo Firxad Ku Galay Magaalada Wardheer Ee Kililka Shanaad, Laguna Soo Dhaweeyey JIGJIGA. - Hogaamiyihii shirkii fashilka ku dhamaaday ee Taleex Mr. Cali Khaliif Galaydh oo ka firdhaday dagaal 26-kii bishan Magaalada Buuhoodle ku dhexmaray Ciidamada Qaranka Somaliland iyo Maleeshiyo beeleed halkaas joogtay, isla markaana u baxday Magaalada Wardheer ee dawadda deegaanka Ethiopia ayaa la sheegay in shalay lagu soo dhaweeyey xarunta dawlad deegaanka Ethiopia ee Jigjiga. Ilo Wareedo lagu kalsoon yahay oo ku sugan Magaaladda Jigjiga ayaa Haatuf u sheegay in Ciidamada Liyuu Booliska ee Kililka Shanaad ee Ethiopia ay ka soo kaxeeyeen Cali Khaliif Galaydh Magaalada Wardheer uu u fakaday markii Ciidan isaga taabacsan oo ku sugnaa Magaaladda Buuhoodle ay Ciidamada Qaranka Somaliland huwiyeen Dhirbaaxo kulul 26-kii bishan. Ilo wareedyada sheegay in Cali Khaliif uu ku sugan yahay Magaalada Jigjiga ayaa tibaaxay inuu maanta la kulmi doono Madaxwaynaha Maamulka Kililka Shanaad ee Ethiopia, kuwaas oo la filayo inay ka wada hadlaan arimo ku saabsan shirkii Fashilmay ee Taleex uu ugu qabtay Cali Khaliif xubno ka mid ah qurbo jooga beesha Dhulbahante, kaas oo aakhirkii lagu kala kacay. What are the purposes of the two conferences? How should the Government of Somaliland respond? The Taleex conference: The Taleex Conference highlighted a challenge Somaliland faced through most of the last twenty years: the perception and reality of Somaliland as an Isaaq/SNM Project, and the reservation and opposition of non-Isaaq communities particularly the two subclans in Eastern part of Somaliland and some of the Diaspora from Boramo district/ Awdal region. The Taleex conference is also part of a new Somali phenomenon: substitution of clan-based factions that sought to take control of the central authority in order to control both domestic resources and external aid with lineage-based cliques with territorial ambitions. But like the factions, they seek a role in the UN-sponsored road map and a share in the new FG and its parliament. UK House of Lords Oo Ka Dooday Inay Somaliland Shirka London Ka QAYBGALAYSO. The Minister of State, Foreign and Commonwealth Office (Lord Howell of Guildford): As we noted previously, we have invited Governments and multilateral organisations that are active and influential on Somalia, as well as representatives from Somalia. We are pleased to say that we have secured very senior attendance from representatives from the region (for example Ethiopia, Kenya, Uganda) and the international community (for example Turkey, Qatar, Nigeria, Sweden, and the European Union) alongside a host of Somali representatives; as well as the African Union and United Nations Secretary-General. We have invited Somaliland to attend the London conference on Somalia. We are following up the invitation with discussions with the Somaliland authorities, working to find a basis for their attendance that is acceptable to them and to us. We very much hope that President Silanyo will attend: Somaliland has much useful experience to share of creating relative stability in the region. - This is the third in our Islamic Finance Series. To see the Introduction Post, please click here. To see the Post on Islamic Finance Instruments, please click here. In this post we speak briefly about off shore banking. In principle, Somaliland could set up an offshore business to encourage the deposit of extra wealth by super rich individuals, and in so doing would bolster the reserves of the Soamliland Central Bank. The modus operandi being not to encourage the wealthy to hoard their money in Somaliland offshore system per se but to encourage them to deposit their extra wealth in a safe and secure system where they would not incur extra expenses / taxes for so doing. Before speaking to whether this would be a good idea for Somaliland, let us first talk about what an offshore banking system is. We fully appreciate and applaud your wise decision to give your people the opportunity to have a say on formulating a sound reaction to the invitation of the UK Government to take part the upcoming London Conference on Somalia. Your Excellency, your move obviously underscores the significance of such response – and highlights the serious of repercussion it is likely to have on our fate as country and people. We, the Somaliland Diaspora in India welcome every effort that the International Community is trying to find ways and means to put an end of the pandemonium and chaos prevailing in the neighbouring Somalia for two decades. It is a noble act and goodwill gesture on the part of the UK Government to help Somalia to emerge from the abyss of diametrical failure and stand on its own feet like Somaliland, which is a beacon of peace and stability. BBC-World SERVICE - Idaacada dalka Ingiriiska laga leeyahay ayaa barnaamijyo badan oo aad u kala gedisan oo dhawr cisho soconaya, oo ka mid ah kuwa loogu jecel yahay barnaamijada laga sii daayo idaacada wayn ee BBC-da, oo dhagaystayaasha idaacada BBC-da ee caalamka joogaa aad u xiiseeyaan maqaladooda, oo waliba ay rayigoodana ka dhiibtaan, ayaa si 'live ah waxa loogu qabtay, dalka jamhuuriyada diimuqraadiga ah ee Somaliland gudahiisa sida, jaamacada ku taal magaalada Hargaysa ee ''University of Hargeisa''. Halkaas oo koox wariyayaal ruug cadaa ahi ay barnaamijo dhinacyo badan oo nolosha ka jirta Somaliland taabanaysa ay ku gorfaynayaan kana diyaariyeen. - On behalf of Somaliland community in Alberta, Canada, Mr. President, we are writing to congratulate you for your genuine efforts on progressing economy and education system since the inception of your governing. However, we see no visible improvements on security and social parameters as a number of communities had been in protest against your administration and management. In particular, one issue that we would like to raise in our letter is regarding the ill-advised London conference that you had been invited to attend and your impending decision. Based upon our careful research product and receiving reliable resource about the conference and its masked agenda, we are hereby sturdily advising you not to attend and instead put your energy on solving internal issue such as Buuhoodle matter. -I am in favor of attending the London conference on Somalia in February because I believe Somaliland sovereignty will not be adversely affected in any way, shape or form. We will achieve more by attending this conference – thanks to Her Majesty’s government for offering this generous grant to Somaliland. This opportunity will spare us both time and money for hiring multinational posh lobby firms to argue on our behalf. This is a life time opening. For the first time in more than two decades, we will be able to present our case to the leaders of more than 40 countries; these include among others, our immediate neighbors and friendly members of the Security Council. This is an Allah (God) sent blessed opportunity for Somaliland. We have nothing to fear, because we have to tell the story of Somaliland history and democracy that can not be claimed, denied or opposed by our opponents. Remember, our opponents consist of sea pirates, warlords and former Al-shabaab allies; they must have all the reasons of fearing us not the inverse, because they have no rational case to present against our cause. This is the right time to trounce them with the power of logic and irrefutable facts. - January 26, 2012: The peace which exsisted in Sool was shattered by a group of expatriates from the US whose actions led to more than 40 people loosing their lives in the last two weeks near Buhoodle. most of the dead were members of the new armed militia that is loyal to Mr. Ali Khalif Galayd and Ali Esse Abdi. These new warlords are both US citizens and have recently organized a conference in Taleex district where they announced the formation of a new regional administration (Khatumo) in Sool. To add insult to injury they did not only create conflict where there was none, but they also raised a militia and attacked the armed forces of the Somaliland government based in the region. As expected they were no match to the professional standing army of Somaliland and suffered tremondous losses and are now reportedly seeking refuge in Ethiopia. It is regretful to see such losses regardless of how misguided their intent may have been, the Somaliland army did its job in defending itself and the nation and we hold responsible those who created the conditions and the actions which precipitated this incident. We also urge the US Government to assist us in bringing these two men who are US citizens to justice to prevent any future bloodshed and mayhem in the only peaceful government in the Horn of Africa. -We the members of Somaliland Community Development Organization of Metro Toronto (SCDO) do appreciate and commend our President's wise decision to give his people the opportunity to have a say on formulating a sound response to the invitation of the government of Great Britain to our government to participate the upcoming London conference on Somalia. The President's move clearly underscores the importance of such a response, and highlights the serious ramifications it is bound to have on our future as country and people. Accordingly, we as Organization members as well as the wider Somaliland community share with our President the need to study and thoroughly deliberate on this subject in order to come to the right decision. To those ends, we have, on our part, given it our best shot to contribute to the pool of ideas the President has asked for with his nation. Hence, we put into perspective all available pertinent information and strived to pinpoint all possible outcome scenarios. - A Somalilander Proverb says: An ostrich had once said: When I come to a Folk Dance Scene, I first put one leg forward to gauge the mood of the dance. If the dance is harmonious, I bring the second leg forward and join the dance. If, however, the dance is in disarray, I Pull back the first leg and stay away. The invitation that the Government of Somaliland has received from the Government of United Kingdom to attend the Somali Conference in London on 23 February is a double-edged sword. On the one hand, Somaliland could make vital gains in terms of access to economic resources, diplomatic leverage, and lobbying for our long overdue International Recognition We could also positively contribute to the Global fight against Terrorism, Anti-Piracy etc. On the other hand, if not properly and cautiously handled, Somaliland could end up in a ridiculous situation and could even compromise the heard-earned Independence and Sovereignty of this Nation. The press conference that Mr. Chris Allan, Deputy Ambassador of UK in Addis Ababa, conducted in Hargeisa last week has obviously resulted from the meeting the ambassador has had with the President of Somaliland that same morning. - "How are you going to make money in a country that doesn't even exist?" That was probably the question that many people had at the back of their minds when Mohammed Yusef told them he would invest in Somaliland. Others perhaps did not even know Somaliland had declared independence from Somalia in 1991 and that, in spite of not having been recognised internationally, it does have - unlike Somalia - a working political system and a strong business sector. Mr Yusef of course knew. Although he now manages a very successful investment firm in the United Kingdom, Invicta Capital Limited, he has always kept in touch with the land where he was born six decades ago, while it still was a British protectorate. "If what my parents say is true, I always had a mentality for trade, for business, and it's not inconsistent with the family history because the family originated from a fishing village on the Gulf of Aden," he told the BBC's series African Dream. "My great-grandfather was one of those people that would trade with Aden." This statement has, again understandably, aroused the ire of the people of Somaliland since they recovered their sovereignty from the erstwhile Republic of Somalia in 1991, and have steadfastly maintained their distance from the anarchy, state collapse and war that have engulfed Somalia ever since, despite repeated attempts (often involving violence, e.g. Al-Shabaab’s attacks in Hargeisa and upon expatriates in Somaliland) to drag them into this unending maelstrom. Somaliland and its people expected more from their former colonial protector, and it is either a reflection of the insensitivity of the current Foreign & Colonial Office to the aspirations of the people of Somaliland, or simply of their lack of knowledge of the politics of the Horn of Africa, that they refer to Somaliland as a region of Somalia, as Puntland is. The interpretation that many hard line, anti-Somaliland politicians within Somalia have given this British insensitivity or ignorance, is that the British have coerced the Somaliland Government to attend the conference as a regional authority, just like Puntland, Galmudug etc. - Erayo lud leh, tududcyo laf leh oo isku lamaan iyo hees jacayl ah oo uu isku bilkaydiyay ninka magaciisu hoosta ku qoran yahay, oo ah isagu, nin madalaha suugaanta aan qajeel ka ag fogaan ee aad ugu dhaw-dhaw, ha yeeshee aan weli wax badan oo la taaban karo ku darsan. Ayaa midhaha heestan maanta isku soo yabyabay, oo erayo af-guriyeed iyo mid dhaqameedba ku nudan yihiin inoogu deeqay ee bal dadwaynoow nala daya! Heestu waa jacayl, waa Sedex bayt-lay, uu bayt-kastaaba si farshaxan-nimo dheeraad ahi ay ka muuqato looga soo jeebay inta ugu mudan nolosha reer Somaliland. Tusaale, Bayt-ka u horeeya ee bilowga heestu waxa uu ka anbaqaadsan yahay quruxda iyo qiimaha ay leeyihiin xoolaheenu, oo gabadha la ag-dhigayaa, ka labaadna beeraheena, ka sedexaadna qaranka Somaliland. London's Calling To Somaliland: A Case of Perfidy Or Palmerstonian's Action? - Is it a "naked perfidy", or perhaps it's a "Palmerstonian's politics" in action? There is a great deal of talk regarding the London’s conference and its intended delegates; which of course, Somaliland is supposed to be a one of the invitees. Also, the British government seemed to have went into a great deal of effort in convincing the Somaliland’s administration in attending (preferably at the highest level) this conference. However, reading all the tealeaves of UK’s larger government agenda in here, one could say with confidence, that, it’s with regret that Somaliland must decline such an invitation. Since, the over-all agenda of this conference is not conducive to her over-all bottom-line. Somaliland authorities did not interfere the meeting until its hidden hanky-panky agenda came to light, and they voted for creating new state out the eastern parts of Somaliland. Somaliland ordered its army to move into Buuhoodle Town, where the organizers planned to nominate as the capital of the new administration. The town was brought under the control of the army in hours, and later the army withdrew in order to avoid civilian casualties. The organizers sponsored gorilla armed group called SSC fighting Somaliland at its eastern parts. The organizers financed the group to fight and destabilize Somaliland and the region but they failed to stop the army. Somaliland government don’t interfere the tribal meetings as long as it doesn’t discuss politics. Madaxtootaydu Way Ka Badheedhay Inay Reer Gabiley Ku Ihaanaysato Codkoodii.! - Fal kasta oo bani’aadamku ka gaysto bay’adda ama dabeecadda degaankiisa, isagoo adeegsanaya awooddiisa “Khayraadkiisa” kala duwan si uu waxtar ugu yeesho xaaladihiisa nololeed waxa ka dhasha natiijo ugu fadhida qiimo dhaqaale. Qiimaha natiijooyinku waxay u kala muhiimsan yihiin heerarka baahida loo qabo, cadadka & nooca awoodaha loo huray, waqtiga lala beegsaday iyo goobaha laga fuliyey. Sababahaas dartood ayey bani’aadamka lagama maarmaan ugu noqotay inay qaybsadaan cid walbana u qeexnaato awoodaha iyo masuuliyaduhu, tacabka galayaana noqdo wax cayiman, falka la fulinayaana xulasho ku yimaaddo, goobtiisa iyo goortiisana lagu heshiiyo. Marka ay tallaabooyinkaasi sugnaadaan waxa dhacday shaqo lagu xisaabtamay qiimaheeda, waana tan keentay in ay ummaduhu ku kala duwanaadaan heerarka quwadaha dhaqaale iyo xaaladaha nololeed ee qaaradaha, dalalka ama degaanada. Waxa dalkeenna Somaliland guud ahaan, iyo degaanka Gabiley gaar ahaan ku soo noqnoqday beryahan dambe in masuul kalidii ahi noqday kan is-sharciyeeyey, isagu xushay waxa uu falayo, isagu gacantiisa ku fuliyey, isagu baadhitaan/dabagal isku sameeyey, isagu is xisaabiyey, haddana isqiimeeyey dabadeedna naftiisa ugu bogaadiyey. Xafladdii ugu dambaysay ee ay lix wasiir, janannada ciidammada iyo Madaxwayne xigeenku markii shanaad xadhigga kaga jareen qol kaliya oo laga dhisay D/hoose, waxay ahayd olole gurmad ah oo loo soo agaasimay in lagu xaqiro looguna quus gooyo golaha degaanka ee Gabiley oo cabasho ka muujinayey qaabkii sharci darrada ahayd ee dawladdu u eriday mayor-kii shaqaynayey una afduubtay nidaamkii isbaddalka hoggaanka bishii may 2011kii. -This is the second in our Islamic Finance Series. To see the Introduction Post, please click here. In this post we speak briefly about the various major instruments which are crucial to a functioning Islamic finance system. (Rab-ul-mal or A) provides the capital. While (Mudarib or B) manages the investment using his expertise. Typically, Mr. A (Rab-ul-mal) provides QR 50,000 for investment as a grocery shop in Hargaisa City. Mr. B (Mudarib) manages the shop. Profit is determined separately and distributed by applying a pre-fixed sharing ratio. Any loss is carried by A (Rab-ul-mal) unless B (Mudarib) was negligent. All the assets are owned by A (Rab-ul-mal). B (Mudarib) can buy out A (Rab-ul-mal). Mudaraba can be ‘restricted’ or ‘un-restricted’. Marwo Khadra Xaaji Gaydh Oo Allaybaday Ugu Deeqday $20.000 (usd). Toloow Lacagtaa Halkay Ka Keentay? - Waxa naxdin leh iyo amakaag iyo wax aan la qaadan karin boobka, qaaraabo kiilka iyo cadaalad darada ka taagan dalkii yaraa ee Somaliland ee aan rajada ka qabnay ahayd, in dadkiisu kaga raysanayaan waxii dhib iyo hagardaamo ka soo maray is-raacii Soomaaliya! Allah Ax iyo way badanaa ilayn! Waxan saaka ka akhriyay website-yada Somaliland qaar ka mid ah, gabadha gudoomiyaha ka ah degmada Gabiley ee la yidhaa marwo Khadra Xaaji Gaydh, oo iyada oo la socota wafdi gobolka Gabiley ka tagay oo soo marmaraaya degmooyin dhawr ah oo gobolka Gabiley hoos yimaada, intay ALLAYBADAY ka qudbadaysay dabadeedna kaga dhawaaqday goobtaa oo dadkii ugu bushaaraysay inay lacag aad u faro badan oo ah, $20.000 (labaatan kun oo usd) ay siinayso reer Allaybaday. Sababta waxay marwo Khadra Xaaji Gaydh ku sheegtay inay Allaybaday tahay magaaladii ay u dhalatay ee isla markaana dadka ugu badani uga codeeyeen ee laga soo doortay!! '' Yacno markaa waa abaal gud''. Somaliland Society in Europe (SSE) is a network of organizations representing about 45 Somaliland Diaspora community organizations from 11 European countries. We are writing to you to share with you our position on the upcoming London Conference. We welcome that the British government by hosting this International Conference has bravely decided to actively engage in restoring peace and stability in Somalia. It is a noble act and a goodwill gesture on the part of the British government to help Somalia stand on its feet again. As SSE we welcome every genuine effort to end the anarchy and lawlessness in our neighboring country, Somalia, and help her emerge from the abyss of total failure. 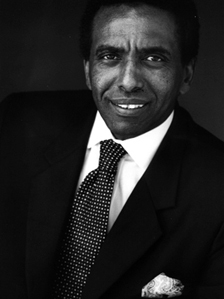 President Maxamad Ibraahim Cigaal: Khudbad Aad U Qiimo Badan iyo Xuskii 18-may-1997. - On behalf of the "Mahad Ase/ Samaron" Committee of North America we are hereby to express tabout our utmost outrage of the so-called Taleh conference. We condemn the empty , hostile utterances and mirage wishes coming from that so-called meeting which is clearly an anti-Somaliland forum. We also very regretful about how the Somaliland government has allowed such a meeting where so many criminals, anti-Somaliland charlatans, failed warlords and other shady personalities participated. Such a meeting or any one like It cannot and will not affect Somaliland right for self-determination and sovereignty. We are also here to declare our readiness to defend our country and independence against anyone who dare to interfere our internal affairs. Few Days picnic or get together can do nothing to our hard won independence. We will also like to inform the vagabond so-called " Awdal State" and the life hotel dwellers "Ismail Buubaa" you do not have the moral fortitude, integrity or following to say anything about the Republic of Somaliland. - Somaliland is a post conflict country, and its major sectors are still developing. Almost the entire country has been reestablished after a brutal civil war which brought the country into its knees. All sectors of the country were affected including: education, health, infrastructure, industry, and development sectors. These were ruined during the wars. Not only were the physical items ruined but also the technicians, the elites, and much of the know-how of locally developed experts were lost. After 1991 Somaliland began to construct its own way to development without much international aid available to it. Somaliland set-up a hybrid system uniting the western form of democracy along with Somali traditional / religious values. The Somaliland Constitution provides for basic rights and guarantees for everybody, including foreign people. One of the predominant provisions of the Constitution specifically guarantees foreign investment in the country. As the country moves forward, there is a lot to be done within the arena of infrastructure development. For years, Somaliland was affected by major breakdowns and lack of sufficient, effective, affordable and reliable power sector. This makes it difficult to develop, particularly light and heavy industries which can bring more employment and prosperity to the country’s economy. People who return home have different reasons for doing so. There are those who are of old age and would like to spend their last years at home. There are also those who have accumulated wealth and would like to invest their funds there; and there are those ambitious individuals who after earning degrees and working as professionals overseas decide to utilize their knowledge and skills to make a difference for their people. However, some local elites apparently believe that they alone are straight (way toosanyihii) and that Diaspora people are crooked (way qaloocanyihiin). They try to find faults with them, question the source of money they bring into the country and do not even spare women from those attacks. On Sunday 15th January, the ISG members met at the SORADI office to discuss the prevalent situation in the country and debate the most significant issues. The meeting was sponsored by the Social Research and Development Institute (SORADI). It was moderated by its Deputy-Director, Haroon Ahmed Yusuf. The Somaliland Independent Scholar’s Group (ISG) members are all long-term participants of Somaliland rebuilding and democratization process, who are considered to be highly competent to provide an objective analysis and strategy to address the issues at hand. - In this article I will address some of the major events that took place in Somaliland in 2011 and at the same time rise some of the challenges facing Somaliland in the light of globalization. One of the most important event in Somaliland for the year 2011 was the opening for a multi-party system. A fundamental right in a democracy is the right to form an association or party. Somaliland Parliament passed a law in August 2011 which allows anybody to form a political party. The decision of the parliament is an historical moment for Somaliland democracy and an important step taken towards full functioning democracy, and is in accordance with Somaliland people’s desire. Another event that needs to be addressed is the slowly dissolution of the existing political parties. A setback for democracy was the way UCID party internal conflict solved (the third largest party). A democratic society requires political parties who have active members and political vision about a nation building. It is clear that the political parties in Somaliland are in a transformation period. Somaliland needs strong political parties that can contribute to a better society and nationhood. So far, we’ve had an overwhelmingly positive reaction to the British Prime Minister’s announcement to host a Conference on Somalia in London next month. After 20 years of sliding backwards, it’s clear – and welcomed by many – that Somalia needs a step-change in effort, both from the international community, but also Somalia’s political leaders. This is what the London Conference is about – bringing together in London senior representatives from over 40 governments, multilateral organisations and Somali authorities to agree how the international community can step-up its efforts to help tackle the root causes and effects of the problems in Somalia. - In 1991, in Buroa, Somaliland´s second largest city, all Somaliland clans including the Dhulbahante clans in Sool province committed themselves peaceful co-existence. The agreement included that none of the clans would create their militias and warlords to prevent the spread of clan militants, warmongers, and violence that crippled the region back then. Power and resource sharing were also part of the agreement. While most of the Dhulbahante clans not only honored the Buroa peace accord but also safeguarded it, in 2009 and 2012, some Sool clans funded by the Diasporas (or the cyberspace warlords) not only violated the decades-old peace agreement but also openly rejected it, tirelessly spurring mayhem in Somaliland to dismantle it. But the Somaliland government cannot afford to overreact. Despite the open declarations that some Sool clans are now reading themselves to create their militants—under the guise of establishing an administration that is independent from Somaliland—and despite that some of the well-known Garaads (clan chiefs) are annulling any agreements that Sool clans signed with Somaliland, the government cannot afford to overreact and fall into the trap. That is, engulfing Somaliland into violence. Qaramada Midoobay Ma Taageerayaan Cid Fidmo Ka Abuuraysa Somaliland. - Wasiirka Arrimaha dibadda Somaliland Md. Maxamed Cabdilaahi Cumar, ayaa sheegay in aanay qaramada midoobay taageersanayd in la khalkhalgeliyo nabadgelyada dalka, waxaanu tilmaamay inay qaramada midoobay u cadaysay mowqifkeeda shirka Taleex. Wasiirka arrimaha dibada wuxuu sidaasi ku sheegay shir jaraa’id oo uu maanta ku qabtay madaarka Hargeysa ka dib markii uu ka soo laabtay socdaal shaqo oo uu muddo sadex maalmood ah ugu maqnaa magaaladda Nairobi ee dalka Kenya. - Piracy contributes to the development of Somalia’s economy. Such an unexpected conclusion was made in a report by the experts of Royal Institute for International Affairs in London. The survey has revealed that piracy boosts the economy of the Somali cities while coastal villages remain in decay. The experts also conclude that the regional authorities deliberately don’t hamper piracy’s development. The authors of the survey studied satellite photos of different regions of Somalia. The photos show higher light emission in the cities of Garoowe and Bosaso which proves that the average use of electric appliances has significantly increased there. By the way the two cities are the central cities in the region of Puntland, which became a stronghold of the Somali piracy. The aerial survey also showed that the cities’ area had increased and their build-up environment had changed. Taliyaha Ciidanka Qaranka Gen. Maxamad Xasan (JIDHIF) Oo Jooga Buuhoodle Oo Ka Waramay Hawl-galkii Ciidanka Qaranku kaga Caydhiyay BUUHOODLE Maleeshiyada Nabad-diidka ah. - Taliyaha ciidanka qaranka Somaliland Gen.Maxamed Xasan C/laahi (Jidhif) oo ku sugan magaalada Buuhoodle ayaa caawa ka waramay dhirbaaxo kulul oo ay ciidanka qaranku saaka ku dhufteen maleeshiyo uu soo diray Cali Khaliif Galayr iyo kooxo ka tirsan Al-Shabaab oo ku sugan Magaalada Buuhoodle. Taliyaha Ciidanka Qaranku waxuu sheegay in kooxda Al-shabaab iyo Maleeshiyo beeleed halkaa joogay oo is-garabsanayay ay beryahanba hub u soo ridi jireen xatumaha uu ciidanku qaranku ku leeyahay Jiida Buuhoodle. Si aanu u hubina cida qalalaaasaha wada ee ciidanka qaranka tuurtuuraysa waxanu go'aansanay inaanu ugu tagno halka ay joogaan. Waxana sidii caadada u ahayd ay ciidanka qaranka Somaliland dhirbaaxo kulul ku dhufteen kooxdaa nabad diidka ah oo dabadeedna u yaacay dhanka magaalada Buuhoodle, halkaasoo ay ku dhex-gabanayeen dadwaynaha reer Somaliland ee degan magaaladaasi. Ciidanka Qaranku iyaga oo dhawraya dadkooda reer Buuhoodle waxay ka saareen kooxdan samodiidka ah magaalada, oo firxadkoodii markii danbena galay deegaamada Dharkayn-geeyo iyo Xamar lagu xidh. Wasiir Axmed Xaabsade Oo Ka Waramaya Dagaalkii BUUHOODLE. - Tacrifaddu waa cashuur lagu waajibiyay shay kasta oo dibadda laga keeno, kaas oo qiimihihiisa boqolkiiba in goán ay qaadato xukuumaddu inta aanu soo caga dhigan dalka. Matalnba Qiimaha boqolayda ee ugu badan ee la qaado dalkeenu waa ka sigaarka oo dhan 75%. Qaadka ayaa ku xiga oo laga qaado 60%. Waxaa ugu yar cuntooyinka qaarkood sida bariiska iyo sonkorta oo laga qaado 7%. Dakhliga lagu waday in uu u soo xerooda Somaliland sanadkii 2011 waxa uu dhan yahay 92 milyan oo Doolar (marka halkii Doolar u dhigmo 5700 Sh) Lacagta intaas leég badankeedu oo dhan, boqolkiiba afar iyo lixdan 64% , waxa ay ka imanaysaa tacrifadda lagu qaado Kastamada. Taas oo dhinaca kale seddex jibaar ka badan dakhilga cashuuraha barriga dhammaantood. Dad badan ayaan la socon cashuuraha dheeriga ah ee lagu qaado kastamadeena. Waxaa ka mida cashuurta dekadda (harbor tax), ta iibka (sales tax), ta dawladaha hoose (general municipality tax), ta Dawladda Hoose ee Berbera (municipalityofBerberatax), cashuurta Aafada Burco, iyo ta aafada bariga. Canshuurahaas oo dhan waxa lagu qaadaa kastamka inta ayna bucshirad kastaa soo degin. Cashuurahan dambe, Tacrifaddooduna waxa ay u dhaxaysaa 2% ilaa 12%. Qaarkoodna musuq baa dul-hoganaya. - Somaliland army is reported to have seized control of the disputed eastern town of Buhoodle in Buhoodle region, near the Ethiopian border, without any confrontations. Reports said thousands of heavily armed soldiers moved into the town and neighboring villages early Sunday morning (local time) after they heard heavy gun fire from the town. They added a local tribal militia was testing their guns but were caught off-guard by surprise. No casualties were reported but Somalilandpress has learned the army clashed with SSC tribal militia in the village of Sool-Jogto, about 25 KM east of Buhoodle city. After over-running them, they entered the city from two separate directions chasing the militia. The army move comes days after separatists gathering in near by town of Taleeh declared the formation of a semi-autonomous state. 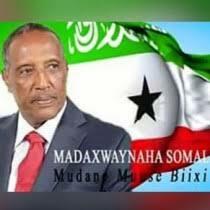 The President Ahmed Silanyo said his government will not tolerate the disintegration of Somaliland. Many families have already fled from Buhoodle and there are reports the army is pouring reinforcements from Sool-Jogto, Meygagle and Horu-Fadh into Buhoodle. Somaliland officials said anti-Somaliland elements such as the former Somali Prime Minister, Ali Khalif Galayr, entered the country from Buhoodle. They added they were sealing the area from tribal militants and other groups who wanted to destabilize the region. - The USAID-funded Partnership for Economic Growth is being implemented by DAI. The purpose of the Partnership is to help local authorities and private sector groups improve the enabling environment for investment, generate more productive employment and improve other livelihood activities. The program anticipates expanding to other regions of Somalia. The Partnership has two focus areas: 1- overall private sector development, including women’s business development; and 2- strengthening specific value chains, including livestock and agricultural production. In the agriculture sector, DAI is partnering with SATG and Amoud University and the aim is to increase vegetable productivity and production volumes to replace imports and increase domestic incomes and employment. The role of SATG is to provide technical support to Amoud University in various agricultural activities including: a) identification of various vegetable crops and varieties b) developing protocols for introducing demonstration plots on major vegetable crops grown in the region, c) training of trainers and extension workers on crop production practices and d) providing training and technical know-how on seed multiplication systems. - The father of unification of Germany, Herr Otto Von Bismark, once remarked, " A politician thinks about the next election; a statesman thinks about the next generation." Where does the leadership of Somaliland fit in that description? Procrastination and indecisiveness have no place in real politics; therefore, our government is a miserable failure on both counts. The dichotomy in the two perspectives or view points is the the element of vision and that is exactly what our leadership is missing-the vision to lead a nascent state through turbulent times. Our president has smeared the credibility of the nation; betrayed the electorate that voted him into office; and effectively put the country on the road to damnation. In spite of the widely held perception that our president had never been receptive to the sovereignty of Somaliland during the war of liberation and he has never changed his stand since; the electorate granted HE Ahmed Mohamed Mohamoud a fresh mandate to lead the nation according to the Constitution. " I am handing you over a united and a functioning nation.." Said President Dahir Riyale Kahin to the future president of Somaliland on the occasion of power transfer! Are we getting more than we bargained for, or are we in for more surprises! Cali Khaliif Galaydh Oo Sheegay Inay 1991-kii Cabsi Ku Yeeleen Somaliland, Hada-se.....! Idaacada Somali-Voa ayaa maanta qudbadii madaxwaynaha qaranka Somaliland Md. Axmed Siilaanyo uu ka hor Jeediyay labada gole ee Somaliland, ee uu kaga hadlay arimo badan oo dalka Somaliland khuseeya ka dib, waraysi la yeelatay Cali Khaliif Galaydh oo waydiisay jawaabta uu ka bixinayo qayb ka mid ah Khudbada madaxwaynaha Somaliland oo ku saabsanayd shirka beesha Dhul-bahante ku qabsanayo magaalada la yidhaa Taleex (Somaliland). Cali Khaliif Galaydh ayaa jawaabihii uu waraysigaa ka bixiyay iskugu soo ururayaan marka la soo koobo sidan: In beeshiisu ay ku khasbanayd 1991-kii inay ogolaato shirkii Burco ee lagaga dhawaaqay la-soo noqoshada Somaliland, sababta waxa uu ku sheegay inay ka baqanayeen SNM. Waxa kale oo iyana ka mid ah hadaladiisa in Cadaadis la mid ah kii beesha dhexe (Isaaqa) uu Siyaad Bare ku hayay 1980-dii oo kale haatan iyaga (Dhul-bahante) lagu hayo oo ay is difaacayaan! !